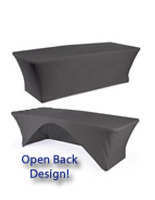 Features open back design for employees to sit behind the table. 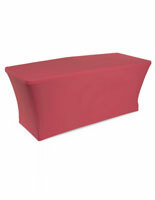 Made from 70% polyester and 30% spandex fabric to stretch over your 6ft table for a snug fit. 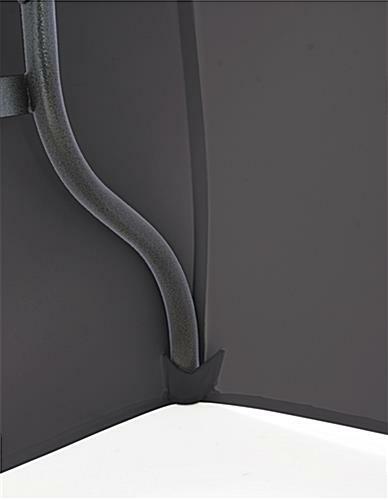 Machine-washable and iron-safe makes it easy to clean & maintain. 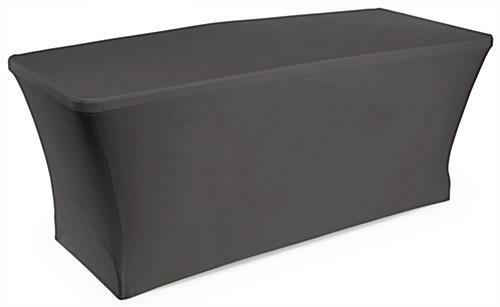 This black plain stretch table cover, fitted table cloth is designed to fit any 6 foot table. It is made from a stretchable fabric to eliminate wrinkles and provide a clean presentation for use during your next trade show or event. 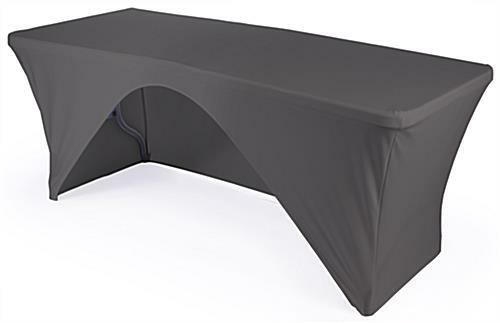 This tradeshow table linen, black plain stretch table cover covers three sides of your table, leaving the back open to allow staff members to sit behind the table, or for the storage of additional materials, hidden from view. 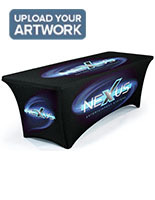 A black plain stretch table cover is an ideal way to make a professional presentation and attract the attention of patrons. 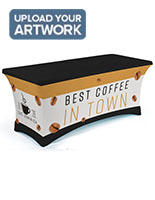 This black plain stretch table cover, also known as a trade show table covering, is an easy way to give your exhibit booth a finishing touch. 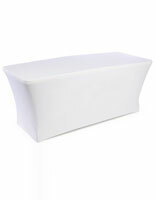 Simply stretch the fabric over your table, and hook the table feet into the pockets sewn into the cover. 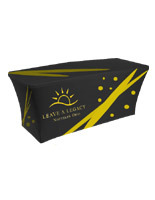 We sell this table linen without any logo printing or graphics, allowing you to personalize your own presentation. 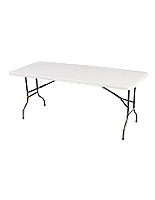 See customize table cover on the right hand corner. 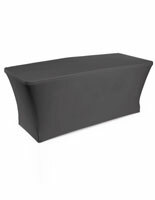 As a result, this black plain stretch table cover is also re-useable for other events, functions and occasions. Save time and money with this spandex table cloth! These trade show table covers are available in 4 other colors: blue, red, green and white. Just as ordered, works great.